During August and September, we took a short pause to reflect on the progress that had been made since the two devastating earthquakes earlier in the year. We spoke to community leaders on the ground, and garnered the thoughts of our fantastic team. They’ve been visiting the villages and, as with all our projects, it is the people on the ground who are the most important in helping us to guide our resources. We’d previously hinted about our talks with the Government of Nepal, and now we have some exciting news to share with you all. 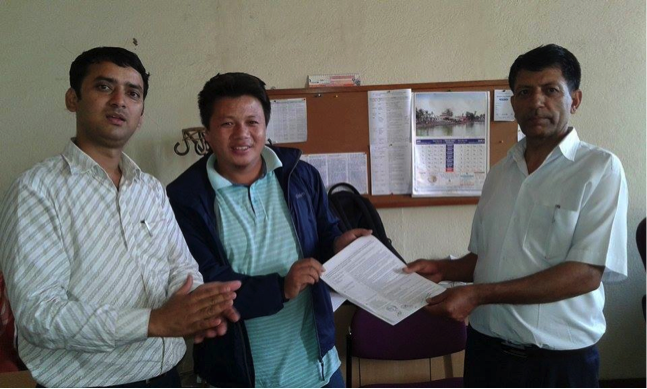 Last week, Helambu Education and Livelihood Partnership (affectionately known as HELP), Mondo’s partner organisation in Nepal, signed a Memorandum of Understanding with the Department of Education agreeing to reconstruct 15 schools over the next 2 years. The work will include the building of 60 new classrooms, 40 toilet blocks and several student hostels and is expected to cost around £300,000. This is a great challenge for Mondo, but also a fantastic opportunity for us to use our experience in the region to improve conditions for pupils in Sindulpalchowk following the earthquake. We’ve got a fantastic set of supporters and donors, and have no doubts that we will achieve all our ambitions for the region. It will be a long road, however, and we’d welcome any ideas or support you can muster. 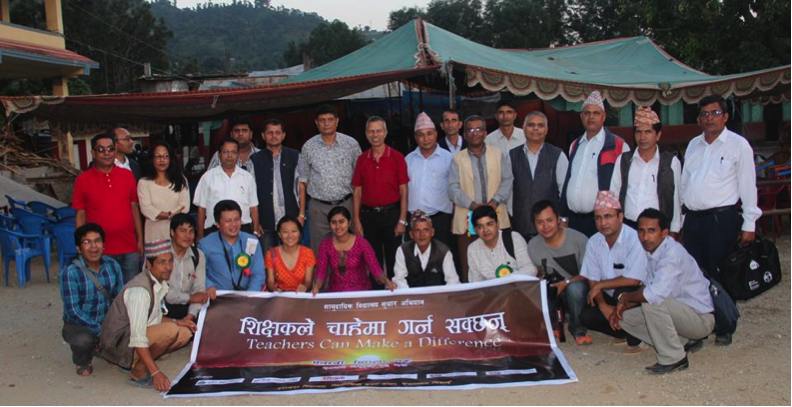 October also saw HELP support a nationwide teacher training initiative called “Teachers Can Make a Difference”. Together with other local partners, HELP organised a teacher training day attended by 337 teachers from 150 schools and facilitated by prominent educationalists. Due to fuel shortages, many participants had to trek long distances to attend the training but this did not dampen their enthusiasm. At the training the teachers were encouraged to become leaders within their schools. They were given the opportunity to share their challenges and discuss solutions and visions for the future. They also received, “teacher bags” with stationery and resources to use in the classroom. At Mondo, it isn’t just about classrooms and infrastructure, we are also pushing to better the standard of teaching, ensuring that our children go through school with even more confidence and skills. Throughout September HELP continued to distribute school bags filled with stationery and books to secondary school pupils as part of the “School in a Bag” programme. Nearly 700 bags were given out in three secondary schools to some very happy recipients. The kids love showing off their trendy new school bags and have no doubt been putting all that stationery to good use!